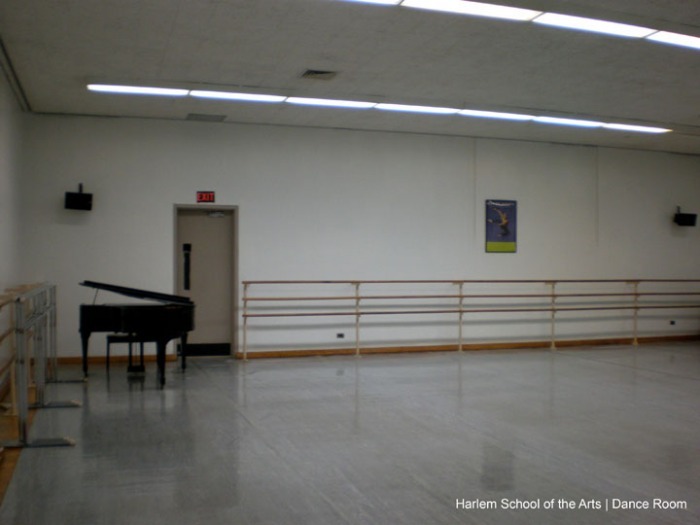 Harlem School of the Arts (HSA) is a non-profit organization that provides enrichment of culture for youth and the Harlem community through the exposure and training in the arts. The school is significant as a facilitator of many facets of education. 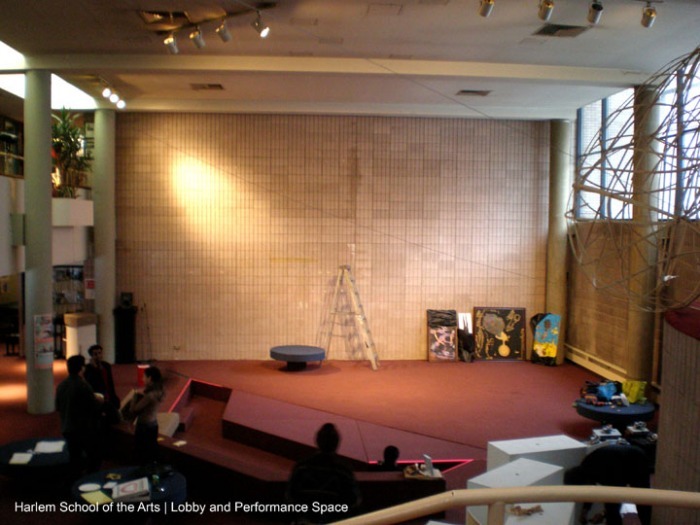 In education, the school has the ability to provide the arts, a much deprived area in public education. Socially, HSA plays a key role in maintaining the historical, as well as progressive, identity and culture of the surrounding community. HSA was founded in 1964 by Dorothy Maynor, an African American singer, known mainly in the music world for her expertise as a soprano. From a religious family, Maynor spent much of her childhood honing singing skills at church and community functions, where she also learned to play the piano. account government research and census data. 3 Her case studying took her to similar existing programs around Manhattan. 4 One such program was the Henry Street Settlement, which was under the direction of Maynor’s friend, Robert F. Egan. 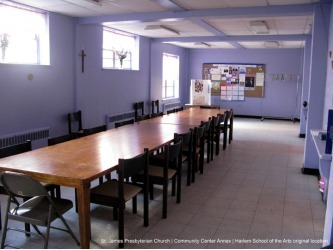 Founded in 1893 by woman’s rights activist Lillian Ward, The Henry Street Settlement is a social service and arts program catering to the Lower East Side neighborhood in Manhattan. 5 Egan was a valuable resource in advising Maynor on starting up her new dream. 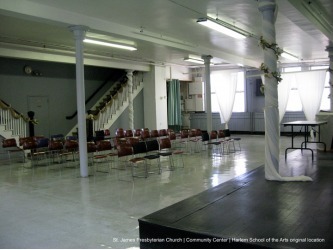 In 1964, the Harlem School of the Arts opened in the annex of this church. The modest beginning had Maynor as the sole teacher to 20 young students. During this first year, the little funding for the school was provided by the church. However, by its second year, financial support began to come in through private contributions and organizations and the school’s resources and faculty grew. 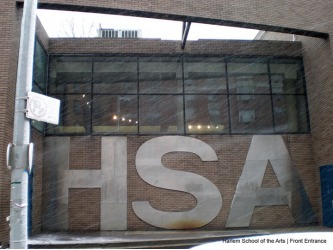 On institutional development, Maynor’s benefit of having old, influential friends proved valuable in early support as well as later in building a flexible and progressive educational environment.6 The popularity of the school spread quickly and HSA saw an enrollment line that did not end on its first day of registration. However, due to the size of the church annex, enrollment was forced to cap at 80 students. 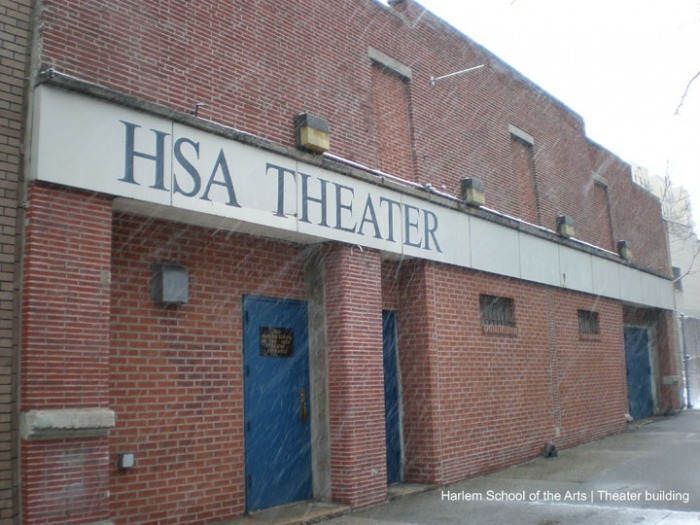 Maynor attributed the rapid success to the fact that HSA was filling the unmet need the she saw, one that the public school system did not nor could not afford.7 With increased funding, HSA expanded to include instruction in a variety of instruments as well as dancing, theatre and painting programs. 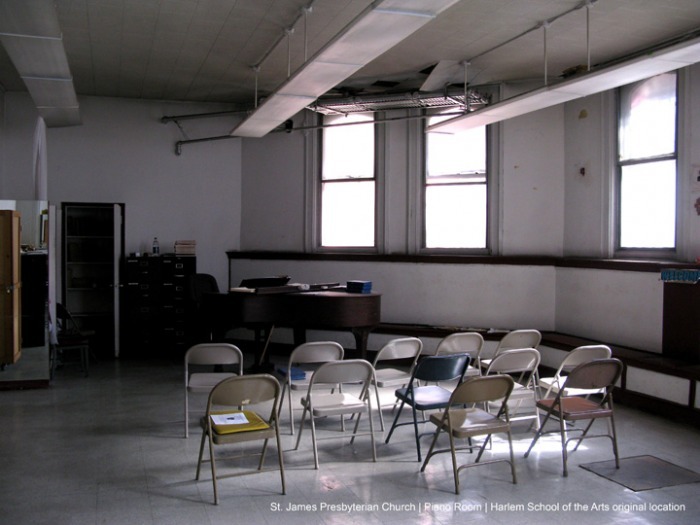 By 1970, with a roster of 40 instructors and 1,000 students, HSA had outgrown the housing capability of St. James Presbyterian Church and the search for a new home was well under way. 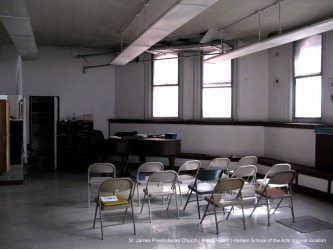 Since the 1970’s, the new home to the Harlem School of the Arts has been located adjacent to the very church that housed its humble beginnings. The new space, designed by architect Ulrich Franzen, embodies much of the attitude Maynor felt about how the school should interact with its students and community. The building comprises of specific rooms that surround a main lobby space and exterior courtyard. A student or visitor upon entering the building can easily access any of the four major disciplines of arts HAS offers. The design ideas tie in very well to Maynor’s attitude of exposure to multiple disciplines and creating large scope awareness of the arts. As the school expanding in space, its offerings also grew to welcome its services as not only an extracurricular program to the community but as a special program to the public educational curriculum. 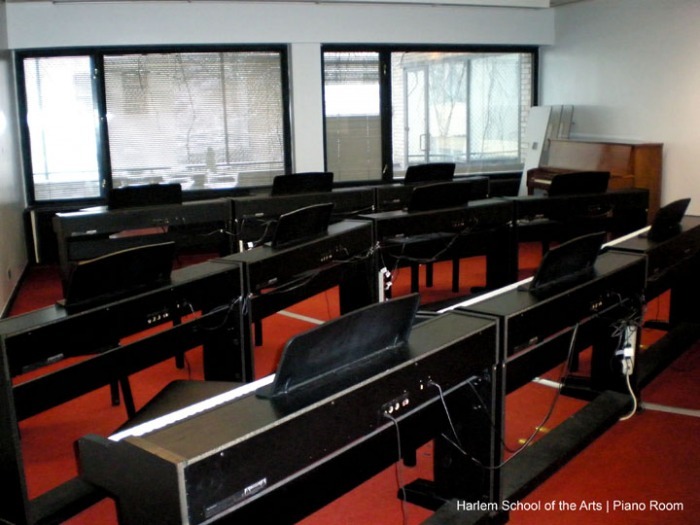 Today, Harlem School of the Arts enrolls more than 3,000 students over four disciplines. 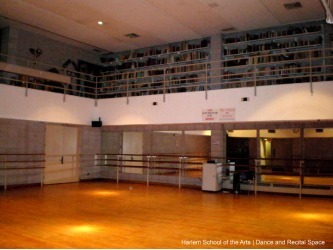 The school’s programs “recognize both the intrinsic value of the arts in everyday life, and the ways in which arts education enhances academic achievement by developing self-confidence, discipline and learning skills in young artists.” 9 HSA has become a hub for the arts in the Harlem community and continues to inspire programs and students towards excellence and change. Making a difference in this world involves dedication and commitment. And in most cases, the recipe for success usually includes a bit of luck. 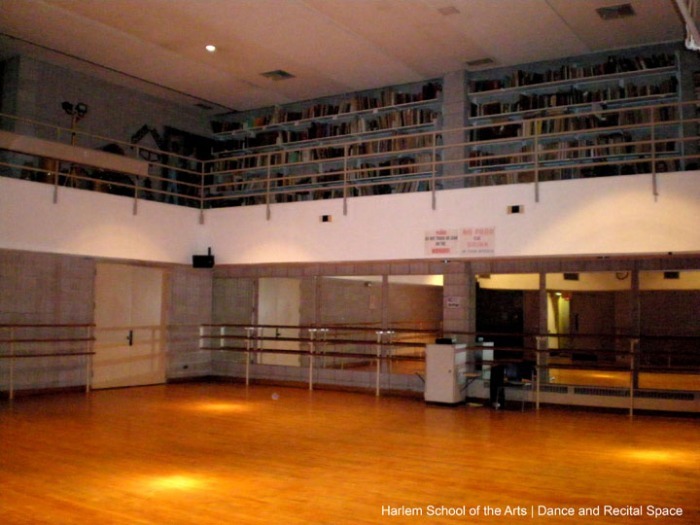 In the case of Dorothy Maynor and the Harlem School of the Arts, it seemed that all pieces fell into place - a smart and talented woman, plenty of influential colleagues, an underserved cause, and an entire community willing to pitch in. It is amazing to understand how Ms. Maynor was able to take this school from a classroom of twenty students in a church community center to a large building that enrolls 3,000 eager young artists. On top of this there is the fact that this program belongs to a community which, at that time lacked an institution that embodies the true spirit of arts, culture and community. years compared to a century ago. A school like Harlem School of the Arts becomes a testing ground for new methods of teaching and learning. 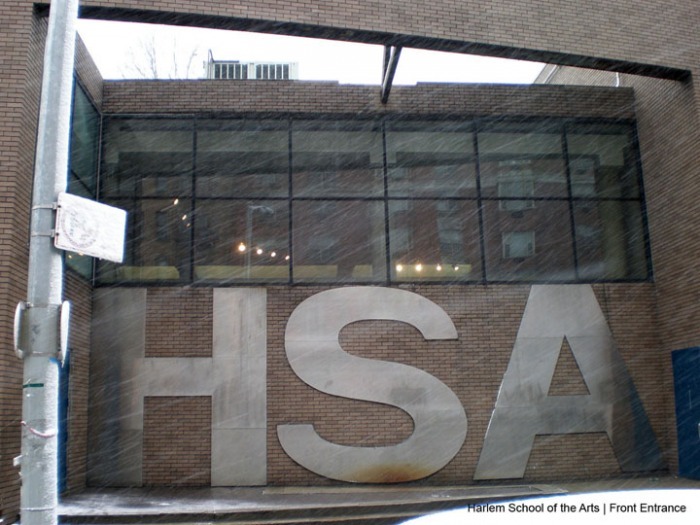 As seen through history, it is places like HSA which lead the way towards learning environments that cater to contemporary needs as opposed to conventional practices. The impact that HSA makes on a child’s aspirations and confidence is key component that makes this school a place that matters. This program is a way to cultivate children’s talents and at the same time promote their awareness in culture. This social dimension is to me the highlight of the program. It brings the community together. It allows a young artist to understand not only the aesthetic qualities of the art but the historic and cultural significances. 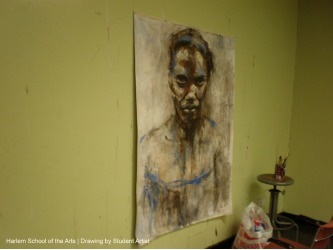 The student can then take their art to a higher level bringing along with their talent a sense of personal spirit. I also enjoy how the community is also energized through this learning. Maynor believed in the importance of a family’s involvement in the students learning process. For example, she wanted families to learn instruments as well so they can play together at home. 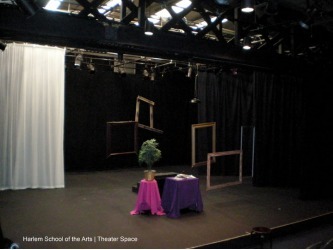 Maynor encouraged the community to attend theatre performances to see their community children shine and understand that the community’s culture continues to evolve and progress through these children. 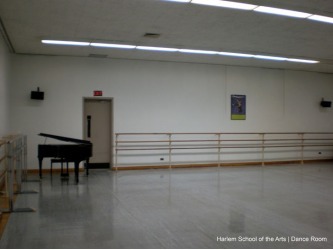 Harlem School of the Arts truly is a place that matters.